You don’t have to be enamored with Chief Bola Ahmed Tinubu’s politics to concede that he is, for now, the nonpareil political hegemon of Nigeria’s Southwest. Sure, his hegemonic hold over the region’s political space isn’t total and unchallenged, but it’s remarkably preeminent nonetheless. I am deploying the term “hegemony” not in its contemporary, everyday sense, but as it was used and popularized by Italian Marxist theorist Antonio Gramsci. Gramsci theorized hegemony as the way the ruling classes in capitalist society perpetuate their dominance by making their values seem “natural” and “common sense,” which encourages oppressed people to identify with their oppressors without a twinge of psychic discomfort. Most people think, for instance, that it’s “natural” and “common sense” to want to make profit at the expense of the physical and creative labors of others. It’s not. Tinubu has succeeded, to a large degree, in seamlessly meshing his self-interested acquisitiveness and insatiable thirst for power with the “Yoruba agenda” or the “Yoruba interest.” Many, certainly not all, well-meaning Yoruba people take it as “common sense” that Tinubu is the “leader,” or, if you will, the apotheosis, of the Yoruba people in contemporary Nigeria who looks out for and defends their interest. This hegemonic narrative enjoys the purchase of a vast swathe of the region’s intellectual, media, and social elites. I have read people opine that Tinubu used his enormous wealth to buy the consciences of many otherwise critical minds in the region; that these otherwise critical people are his pitiful, acquiescent poodles because they can’t risk severing their financial umbilical cord with him. That’s simplistic. While I won’t discount the influence of money in buying the silence and loyalty of otherwise clear-minded people, the truth is that once an idea becomes hegemonic, people buy in or accede to it out of social pressure, out of anxieties about social ostracism. We call it the spiral of silence in communication theory. For instance, before his death, the late Chief Gani Fawehinmi became something of a social pariah in the Southwest because of this relentless opposition to Tinubu and his intrepid quest to pry open the ethical dirt Tinubu hides in plain sight in his cracked closet. Most people don’t have the emotional stamina to defy and confront the ferocious attacks and smears Fawehinmi contended with, so they just toe the line of least resistance by conforming to normative expectations. However, as Gramsci pointed out, hegemony is always a site of contestation, which explains why the consent of people who buy in to it has to be earned and re-earned in perpetuity. Afenifere used to be the hegemonic political force in the Southwest. But Tinubu and his forces have diluted the group’s dominance. Tinubu’s own dominance is also now being repugned by a multiplicity of subaltern political forces in the region. The February 2019 election will determine if Tinubu’s hegemonic hold over politics in the Southwest will be strengthened or weakened. My sense is that it will be weakened—if not extirpated outright. Here is why. Tinubu is going into another alliance with Buhari in hopes that Buhari and his supporters will reward him with a presidential ticket in 2023. That’s a costly miscalculation for a whole host of reasons. 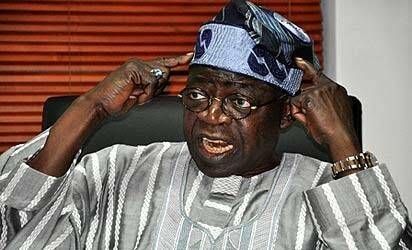 I am familiar enough with members of Buhari’s inner circle to know that they deeply despise Tinubu. They snigger at his presidential ambition and are amused by his expectation that they would support him. Tinubu himself knows this. That’s why I am shocked that he appears irresistibly and dangerously drawn to people who will throw him like he is hot after the February election. Maybe he is gripped by the sort of deathly attraction that causes a moth to embrace a flame. During a TV appearance on Television Continental on February 20, 2018, Tinubu’s wife, Remi, said Tinubu was “trashed” by Buhari’s northern political machine after the 2015 election. People who “trashed” you after an electoral triumph to which you’re central will certainly go the whole hog and incinerate or bury you in the aftermath of another victory that will ensure that they will no longer need you. Apart from the certain betrayal that will surely come from the Buhari camp in the event that Tinubu helps them to win or rig the 2019 election, a Tinubu presidential candidacy will be beset by a lot of problems. Given the heightened sensitivity of religion in Nigeria now, which is made even more so by Buhari’s unexampled, in-your-face bigotry, Tinubu would be required to have a northern Christian as a running mate to earn the support of the south and the Christian north. That would, however, automatically alienate Buhari’s northern Muslim supporters. So his ambition is dead before it’s even born. Most importantly, though, as Tinubu himself knows only too well, a vote for APC in the coming presidential election won't be a vote for Buhari; it would be a vote for an evil, greedy, corrupt, provincial, and reactionary cabal and their minions who are currently perpetrating a stratospheric theft of the nation's resources in ways that would make an angel of Abacha. President Buhari is an insentient human vegetable who is barely aware of his own existence. Vice President Yemi Osinbajo, Tinubu’s dutiful protégé, is worse than a figurehead vice president. The cabal habitually humiliates him to his face and denudes him of any real powers. Every time Buhari handed over power to him when he traveled to London, the Villa always became a tumultuous, feuding house. When former DSS boss Lawal Musa Daura instructed his men to invade the National Assembly, Osinbajo was not in on the decision, even though he was the "acting" president. When he inquired why he was not consulted, he was insulted and humiliated by members of the cabal. He fired Daura in exasperation. But the man is practically back. He nominated the current DG, Yusuf Magaji Bichi, and is actually the man who still runs the DSS. Every decision VP Osinbajo took when Buhari was away has been reversed or vitiated upon Buhari's return. Check the records. This would be worse in a Buhari second term when the cabal no longer needs to pretend in order to earn the goodwill of the Southwest. 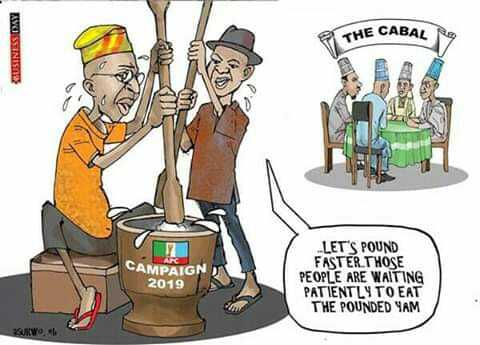 The dissension between the cabal and the southwest political establishment led by Tinubu and Osinbajo would reach a feverish pitch. 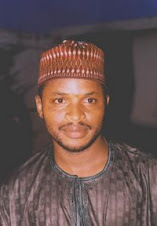 A degenerative, vegetative Buhari would be oblivious, and the nation would burn to the ground. You need no oracular powers to know that this would happen. At that point, Tinubu's minions in the news media and the currently quiescent civil society organizations would resume their trademark barking and tarring all northerners with the same brush. By then, it would be too late.